Hey, everyone. I have plunged into the wild, wild world of self-publishing and made a previously published short story available for FREE*. Yay, free stuff! 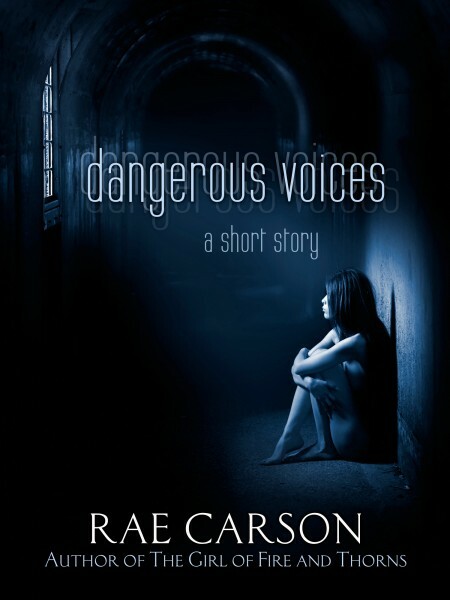 “Dangerous Voices” is a high fantasy story that first appeared under a different title in Weird Tales Magazine, #345 waaaay back in 2008-ish. I’ve since cleaned it up a bit and given it a cover, and now you can all read it. Errik has been a prisoner–and alone–for a long, long time. He lives for the moment each day when the window of his dungeon cell shines a bit of light onto his bearded face. But everything changes when he gets a new neighbor–a young girl with a voice as beautiful as the springrise. They both know the rules: No singing. No speaking. Voices are dangerous. But they can’t help themselves. And soon enough, Errik begins to remember himself, why he’s here in this dark place, and why his captors will stop at nothing to ensure his silence. 14 Comments on Free Short Story! This is such a fabulous story, it’s changed the way I look at short stories. Thanks for putting this out there. Mil gracias x subir los promo only k la vedrad estan super, solamente kisiera comentar y recordar k el link 9 del urban video de sep no a sido arreglado,solo espero k lo reparen para poder descomprimirlo. gracias. Finishing up The Girl of Fire and Thorns audiobook and loving it! Looking forward to reading this next! Oooo I just by chance discovered Rae’s books The Girl of Fire and Thorns and The Crown of Embers. I am soooooo happy I did! I wish it didnt take a year to write a book. I want to fund out what happens (minor spoiler alert) to Hector!!! Hurrah, that’s what I was looking for, what a stuff! existing here at this web site, thanks admin of this site. I loved this story, which was free from Amazon, and would like to use it with my high school English students. Is there a place to download/print it? I can’t see copy/pasting it from my Kindle, though that might be what I have to do. how can i buy a best weight loss pills?. 2Pingbacks & Trackbacks on Free Short Story!